Back at Tokyo Game Show 2017, Square Enix announced a game called Left Alive, and we haven’t heard much about it since. That is, until now. Speaking with DualShockers, Director Toshifumi Nabeshima and Producer Shinji Hashimoto provided more details about Left Alive, including expanding more on its connection to another classic Square Enix property. Left Alive, which contains the DNA of Metal Gear Solid and Armored Core through the talent involved in its creation, is also set in the same universe as Square Enix’s classic mecha RPG, Front Mission. To that end, in these new details combined and screenshots, it has been revealed that the game’s protagonists will ride a Wanzer mech during certain sections of the game. The Wanzer name, of course, originates from the Front Mission series. 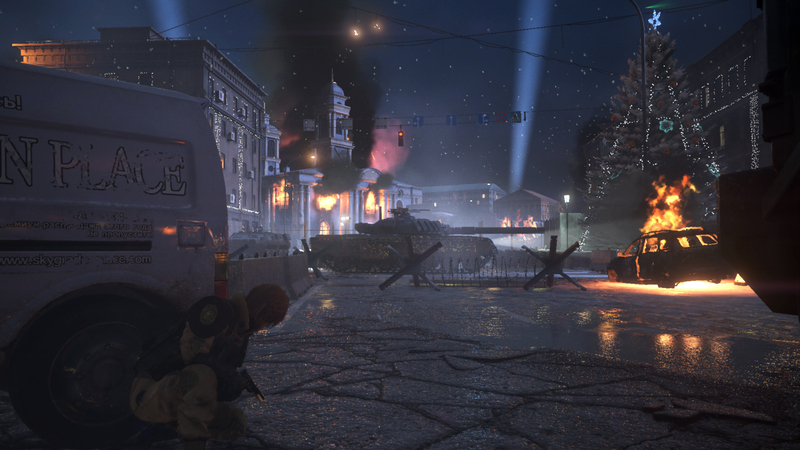 Aside from that intriguing nugget of information, Nabeshima and Hashimoto provided other details about what to expect from Left Alive. For one, the Wanzer sections are optional in some capacity, as players can opt to find alternative solutions to these sections while on foot. While on foot, gameplay takes a serious, tactical turn, as players will often find themselves severely outmatched by their opposition. Finally, player choice will be a major element of Left Alive. Players will encounter civilians through the course of the story, and you can try to convince them to join you, or leave them to their own fates. At the end of the game, you’ll learn what happened to each civilian you encountered.